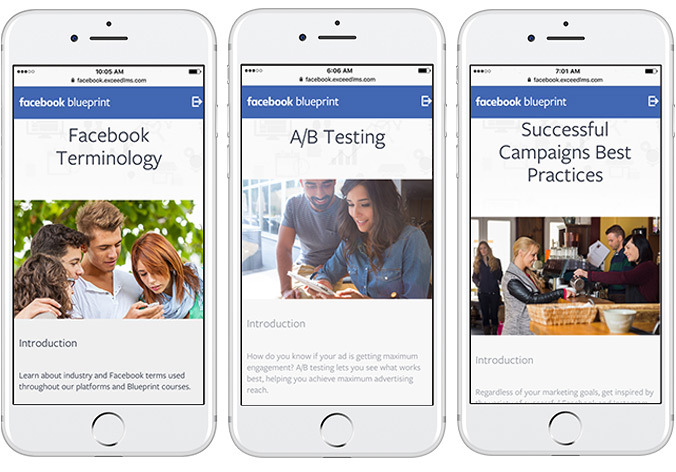 Facebook announced Monday that more than 5 million businesses worldwide are now active advertisers on the social network, with nearly one-half of those creating their ads via mobile devices. The top three verticals advertising on the social network are e-commerce, entertainment/media and retail. 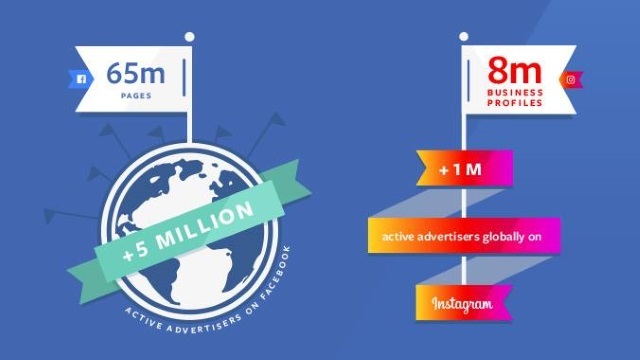 Nearly 75 percent of its 5 million active advertisers are from outside of the U.S. The fastest-growing countries are India, Thailand, Brazil, Mexico and Argentina. The top five countries in terms of year-over-year growth are: U.S., Brazil, Thailand, Mexico, U.K. 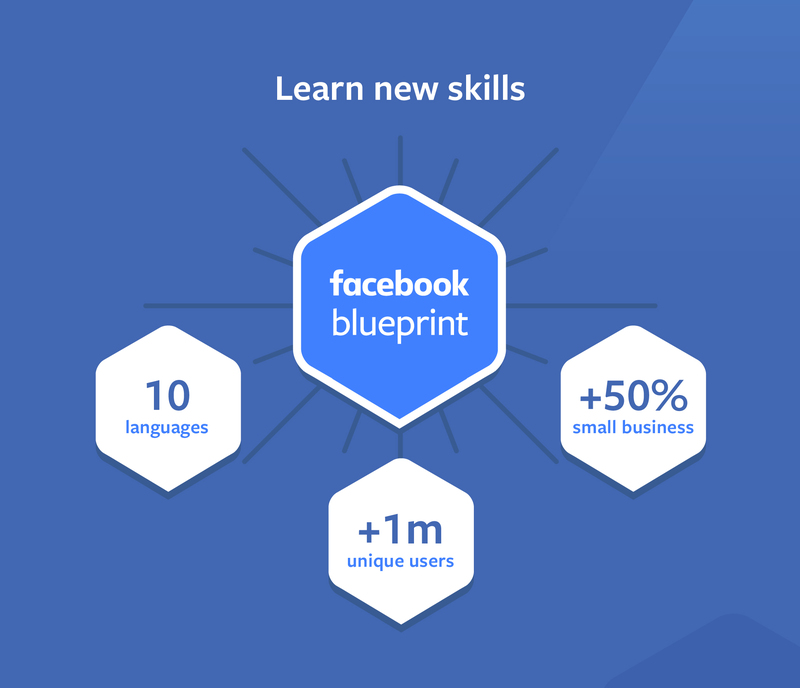 The social network also detailed its efforts to help small and midsized businesses benefit from its advertising offerings in a Facebook for Business post. 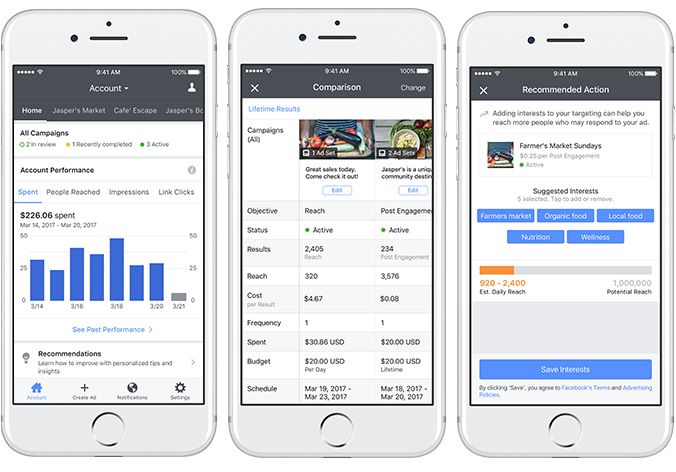 With the Ads Manager App, you can manage your ads and get insights in just a few taps. We’ve even updated the app to optimize your time. At a glance, you can see how ads for your pages are performing, or see a snapshot of how your ad account performed this week compared to the previous week. And the improved navigation allows you easily switch between your accounts and pages. You’ve even got the ability to select up to five ads and compare them side by side. We’re also committed to helping you improve the performance of your ads. The app now recommends actions you can take to increase ad performance—and makes it easy for you to do so in one click. For example, we’ll notify you when a high-performing ad (compared to your other similar ads) is about to end and give you a one-click option to extend the schedule for another one, three or seven days. You’ll receive notifications for relevant interests to add to your targeting in order to increase an active ad’s performance, along with a one-click option to add our suggested interests to your targeting criteria. We’ll also send notifications about recently ended, high-performing ads and give you a one-click option to duplicate the ads. Creativity has never been more important for businesses, and now, even the biggest ideas can fit in the palm of your hand. Mobile has leveled the creative playing field, giving all businesses the ability to deliver world-class creative to people around the world. But small businesses tell us they want faster, easier and more cost-efficient ways to create new content for Facebook and Instagram. That’s why we created Mobile Studio, a new way to show businesses how easy it is to create great ads using only a mobile device. 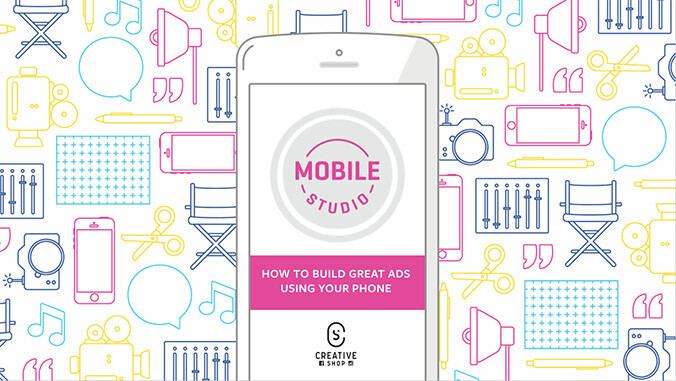 All businesses can improve their creative and, ultimately, the efficacy of their ads with mobile apps and tools—and with Mobile Studio, you’ll learn to do them things in minutes. Don’t miss these important tips, to help you bring your businesses to life without eating up time, energy or resources. Almost 2.5 million e-learning courses have been taken by people across more than 150 countries, and 50 percent of our total course enrollments are taken by SMB owners and employees. 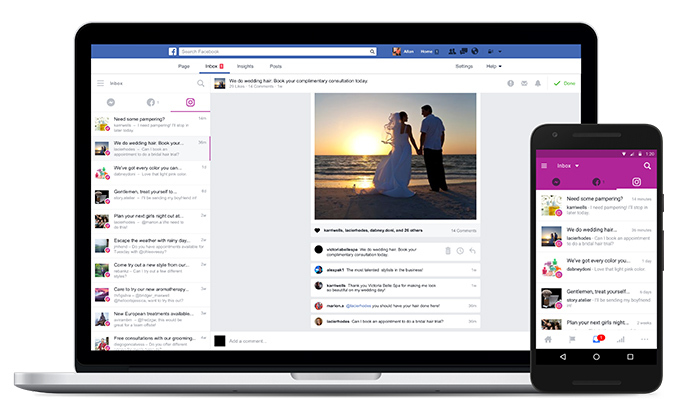 The integrated inbox Facebook debuted for mobile last November—which enabled businesses on the social network to link their Facebook, Messenger and Instagram accounts and receive all communications from those channels in a single inbox—is now available via desktop. 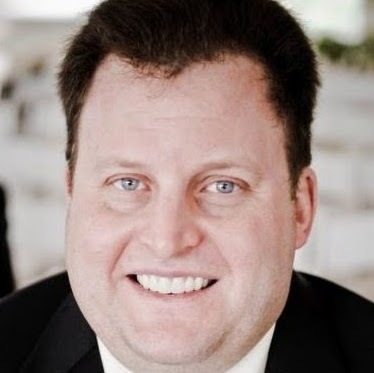 International lookalikes can help businesses find new people that look like their best customers in other countries. Worldwide/global region targeting can help businesses set up a global campaign and find efficient conversions. 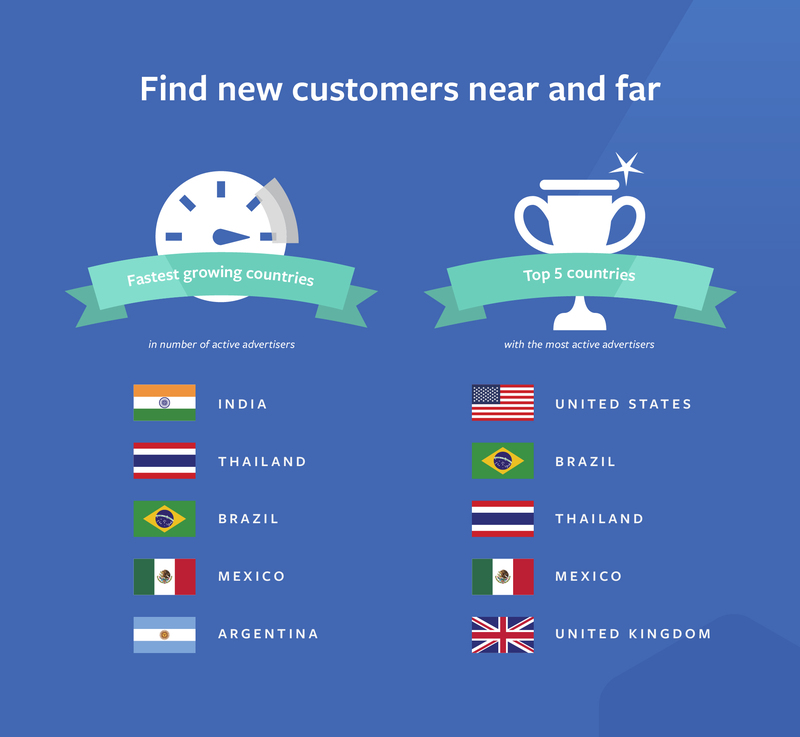 Country snapshots and insights playbook can help businesses create customized campaigns in each country.